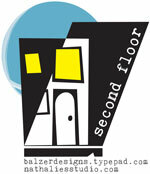 Read all about how Second Floor came about here. If you want to participate publicly, we'll have a linky list for each challenge. If you don't want to participate publicly, that's cool too. It takes a lot of courage to put yourself - not necessarily at your best - out there. We have a private flickr group set up for those of you who want to share semi-publicly but within the safe confines of a private group. There's also a message board as part of the group. If you want to join the flickr group, you will need to e-mail us at (secondfloorchallenge AT gmail DOT com) and we'll send you an invitation. Read about what I did. Read about what Nat did.